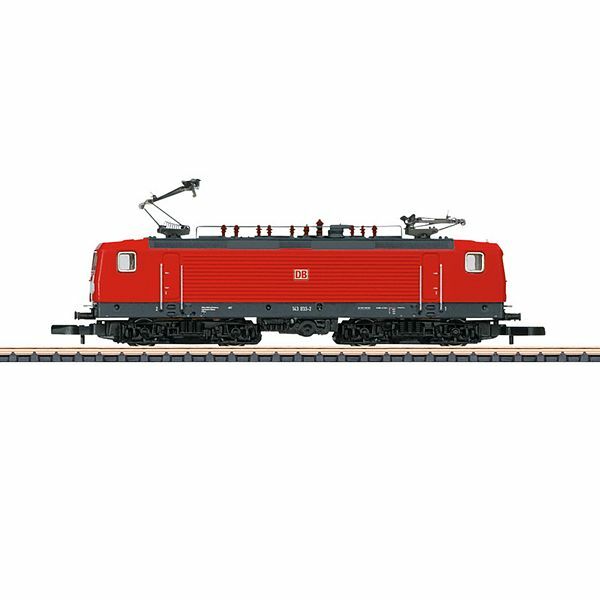 Marklin 88438 Class 143 Electric Locomotive Prototype: German Railroad, Inc. (DB AG) class 143 general-purpose electric locomotive. B-B wheel arrangement. The locomotive looks as it did around 2002 on the Höllental Line. Model: The locomotive has a new generation motor. Both trucks and all axles powered. The catenary selector screw is located inside the locomotive. Maintenance-free white/red LEDs are used for the headlights / marker lights and they change over with the direction of travel. The train destination sign is printed in the cab window. Length over the buffers 76 mm / 3".